A Time for Ré-Branding – Welcome to Studio Catch! Welcome to Studio CATCH! Thank you for visiting and please update your bookmarks! Ever since I started this blog, I knew that I wanted to make a site to not only expose my professional and personal work, but also to create an environment where I could experiment with new ideas, and test them out. And so, I did with my comic “Hockey, Love, & GUTS!” But, much like any creative endeavor, sometimes you create the work and sometimes the work recreates you, and so, after about a year and a half of keeping this blog, I decided to take it up to the next level, and really create a blog on my own, from the inside out, so to speak. 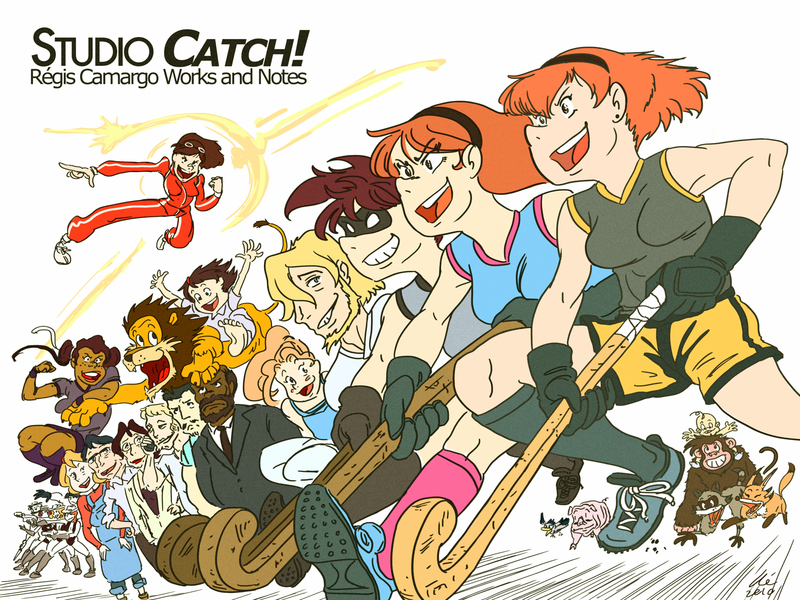 “Studio CATCH!“ is thus my new blog where you’ll be able to read my comic in a much better fashion (using the comic press plug-in and theme), as well as my portfolios, using a nice lightbox plugin. All in all, it’s not really that different from this blog from your end (structurally it’s quite similar,) but from my end, getting a new domain name that really represents my past and future works, and installing wordpress and comicpress to my webspace at 1and1.com has really enabled me to do so much more. And so, I hope you enjoy my new blog, and please leave any comments there from now on, and of course, update your bookmarks. I’ll still leave this blog up for a while, so people can catch up to the other one (no pun intended). The only thing that will change here is the last post that you’ll see after this one (and the post that will replace all the other pages here as well) which will basically say “this blog has moved” or something like that. So, thank you oh so much for your readership, ( over 17,000 visits, wow!) and please keep coming back for more at http://studio-catch.com!